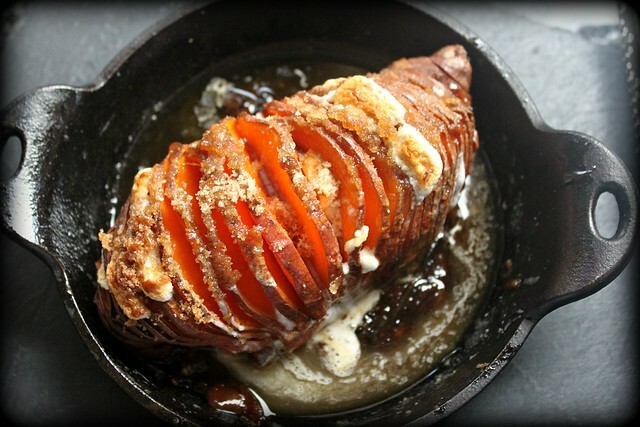 Make a a whole pan of these Hasselback sweet potatoes with mini marshmallows and brown sugar butter! Bake the potatoes ahead of time...then about 20 minutes before you're ready to serve dinner, stuff them with the marshmallows and brown sugar butter and pop them back into the oven to melt the marshmallows and caramelize the tops! Top with a pinch of Kosher salt and you have a perfect sweet potato side dish all of your guests will love!